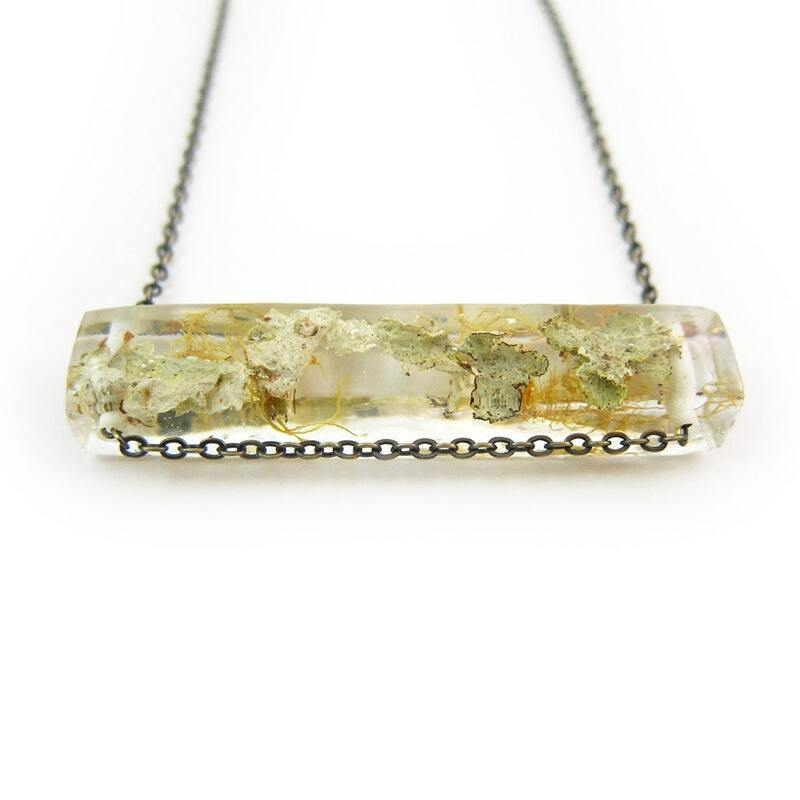 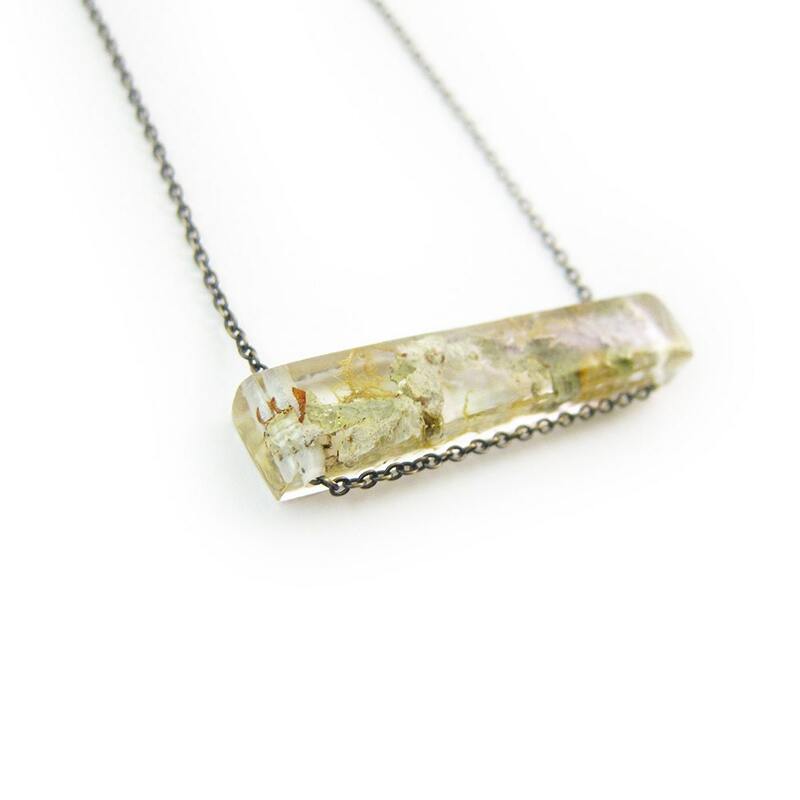 This long rectangular bar terrarium pendant features natural and hand-gathered and dried mosses and lichens suspended in hand cast crystal clear eco resin. 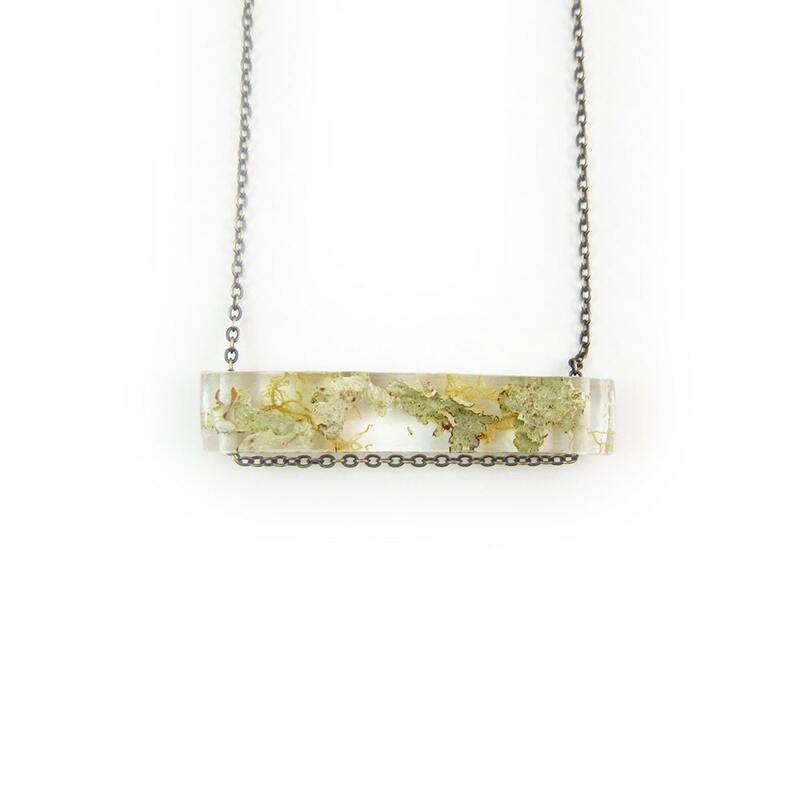 The chain is a fine-link antiqued brass with antiqued brass lobster clasp with an adjustable 18-20 inch chain length. 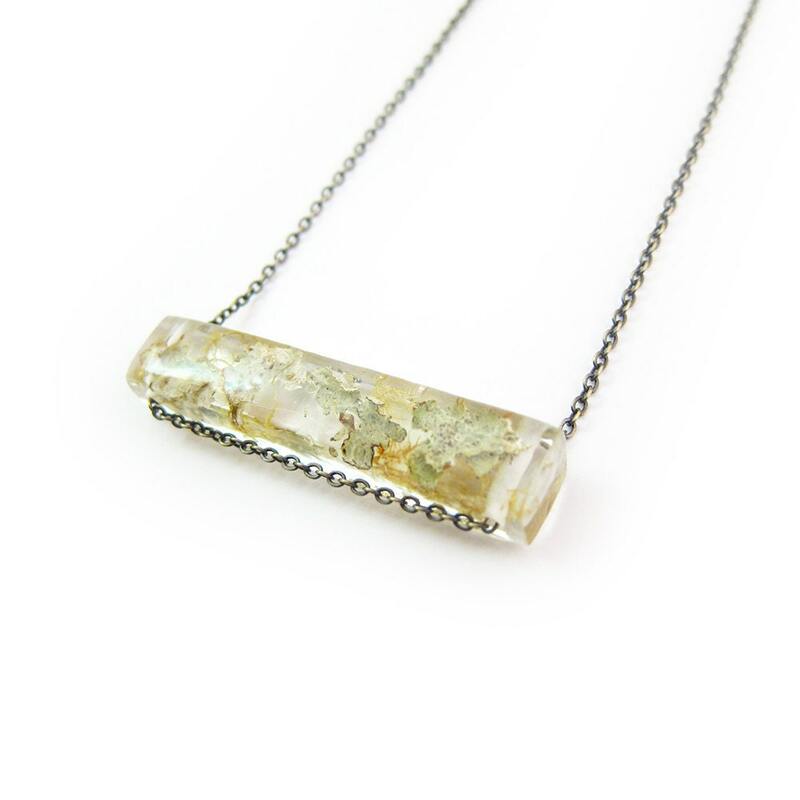 The pendant is 1 cm high by 6 cm wide.